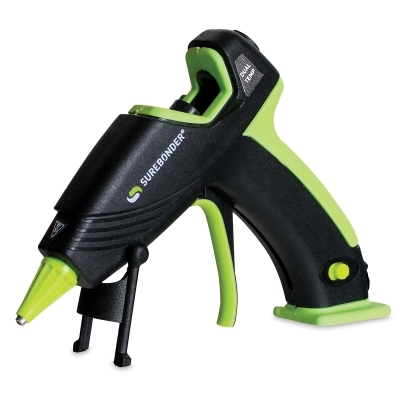 Surebonder's classic glue gun has been redesigned and upgraded, delivering new, top of the line features to assist all your home and craft projects. 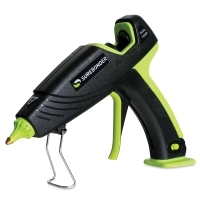 The Surebonder Ultra Dual Temp Glue Gun comes in three wattages for faster gluing, and it has dual temperature capabilities to suit a variety of gluing needs. The glue gun's redesigned body promotes easy lay down, prevents glue back up, and has rubber accents that offer comfort while gluing. 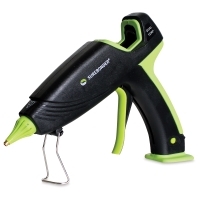 Its insulated nozzle protects against burns. Surebonder has added their auto shut-off technology to the Ultra glue gun — if the glue gun hasn't been used for 30 minutes, it'll turn off automatically. It also has a safety fuse feature that shuts the glue gun off if there's a short.